Bicycle disposal options are quite limited. Like a really, really short list of possibilities. The reasons are all-too-obvious. It’s used. The bike is dated and perhaps out of style. And, it probably needs some parts replaced. Or worse, it doesn’t function as it should. But, you’ve got to do something with it. Otherwise, that bicycle will take up much-needed space and that’s not going to work. So, if you have a bike and want to offload it, there are a few things you can do. First, let’s talk about getting up to snuff and running like it should. You might like it and this is certainly an option but only if it meets a few criteria. We’ll begin with the premise than any bicycle is a simple machine. So, there’s really very few which are beyond repair. However, money is a huge factor. Sell it. If it’s still in good, working condition, you can sell it or sell it to a local shop for parts. A local bike shop might well be able to give it a little TLC and sell it off. Or, sell it directly with a local, online ad. Junk it. Now, if it’s in bad condition, then you’ll need to go another route. One good solution is to lump it together with a bunch of other unwanted stuff and just junk it all at one time. Repair it. If the bike is still usable and just needs a bit of work, you could try to repair it yourself. But, this might require specialized skills to pull off. Donate it. Another option is to donate it, if it’s relatively new and in fairly good condition. A local church or other charity might accept it as a donation. 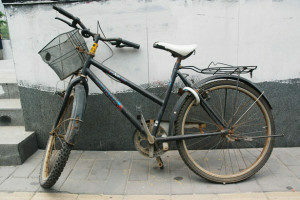 If you need bicycle disposal, go ahead and phone 800-433-1094 or visit Junk Garbage Removal.